I've seen a lot of great movies this year, because it has been a great year for film. One of The Lobster, Swiss Army Man, and Hunt for the Wilderpeople is the best movie I've seen so far, but each is so different that it is hard to choose. Hunt for the Wilderpeople, at its heart, is a story about finding family through difficult journeys. 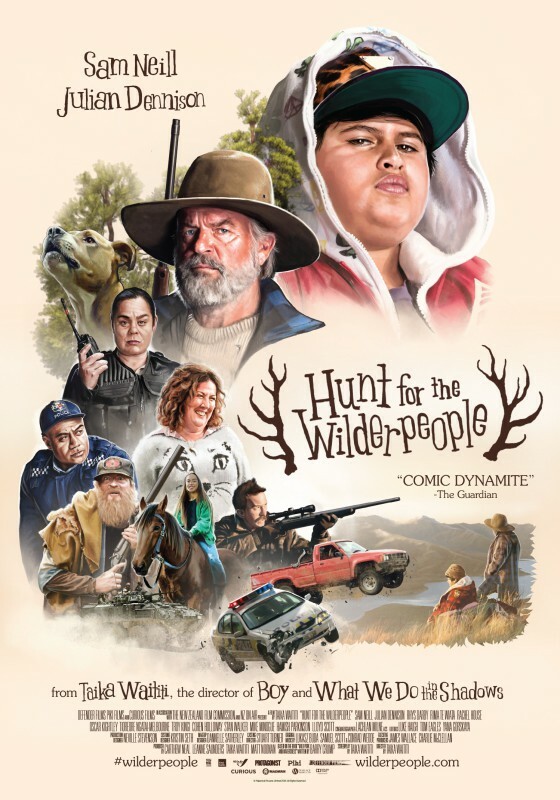 That schmaltzy sentiment hardly seems cheesy at all when it comes in the story of a man (Sam Neill) and boy (Julian Dennison) who become the subjects of a manhunt after they're accidentally stuck in the bush for six weeks. Ricky Baker has gone from foster home to foster home, and this is the end of the line for him. But Aunt Bella (Rima Te Wiata) has created a welcoming, loving home, and gives him the space he needs to decide to stay (in between hunting pigs with the help of her dog). When she dies, Ricky doesn't want to leave, but social services won't leave him with Bella's partner Herc -- and the asocial Herc just wants to go into the bush and escape from civilization for awhile. We all know the odd couple of Ricky and Herc will love each other by the end, but how they get there is a singularly offbeat journey. The scenery of New Zealand, of course, makes for beautiful cinematography. Taika Waititi (director and writer of the adaptation) doesn't rest on that beauty. He adds danger, both natural and human, and plenty of fun. He has a way with crafting narratives that are funny even if you aren't laughing out loud every other moment. (Not that there aren't parts that will crack you up.) There's just an ineffable comic sensibility. 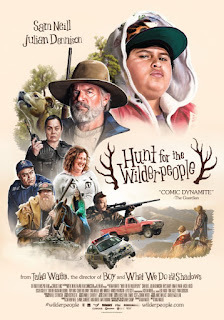 Hunt for the Wilderpeople isn't afraid to be sad or to touch on the serious issues faced by kids in the foster system. It gets dark. That only makes the light more exuberant. It's hard, like Ricky finds, not to get caught up in the rush.